HASMINE KILLIP is the lead actress in the acclaimed indie drama about street kids, “Pamilya Ordinaryo”, which is currently having a special screening this week at SM Theaters as part of Cine Lokal. She has already won several best actress awards for her performance in the film as a teenage mom who lost her baby to a scheming child trafficker. Among the trophies she has won are the Cinemalaya best actress award, the Harlem International Filmfest best actress award, the 10th Asia Pacific Screen best actress award and the Hanoi International Filmfest best actress award. the nominations, but she just got her best award so far, a baby girl born in London, where she now lives with her British husband Anthony Killip. She says they’re calling the baby, her first born who weighs 5.9 pounds at birth, Maya. 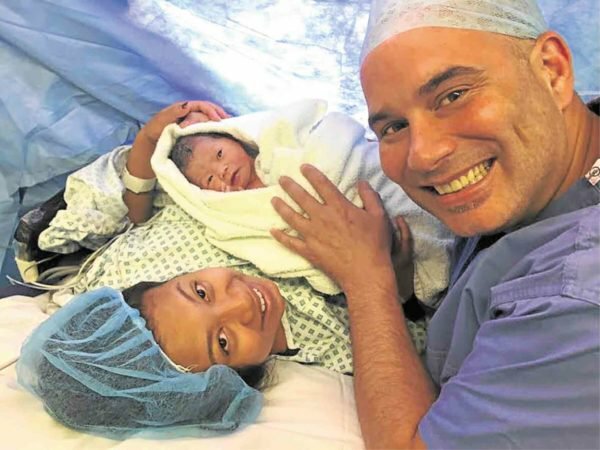 She delivered by caesarean section and adds that she now really knows how it is to be a mother, the role she played in “Pamilya Ordinaryo”.